How many times are you conferencing with with a student or meeting with a group for guided reading and you notice a reader not reading the ending of words, for example? Well if you’re like me and can identify the problem, but then you are left with the “what do I do now?” question in regards to how to solve this decoding issue I’ve found a decoding strategies and prompts sheet that will come in handy during these moments in the classroom. 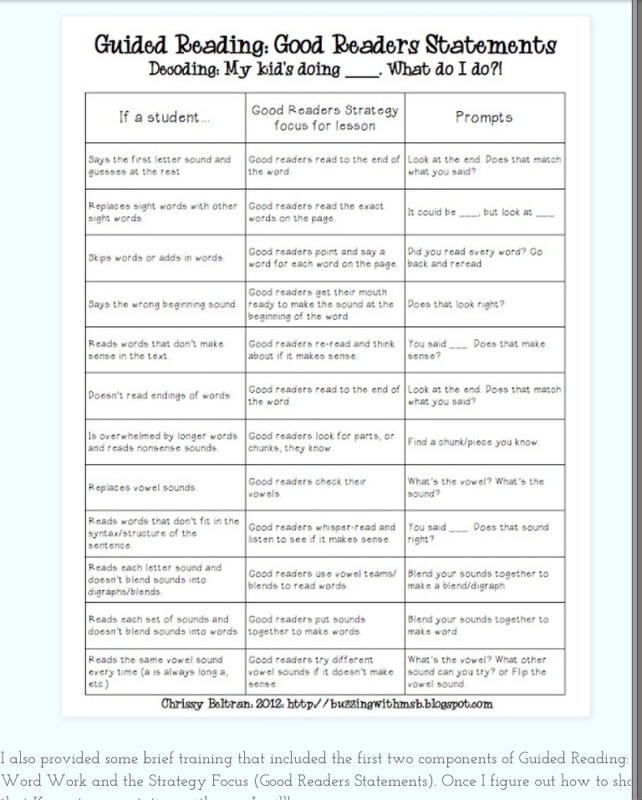 On the blog Buzzing with Ms. B you can find this sheet to keep in a binder to use during reading conferences. It would also be a good resource to send home with parents.